Want to experience the American Wild West at the times of the Gold Fever? 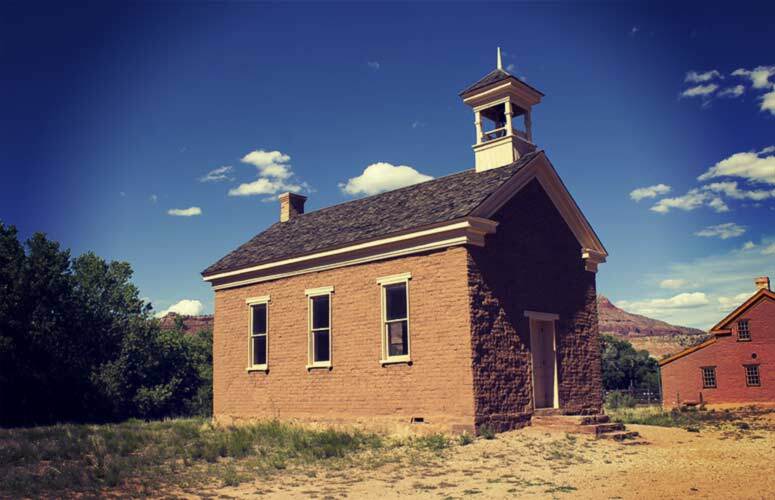 You have to plan a visit to the most famous and fascinating ghost towns in Utah. Utah has more than 100 ghost towns: they are very popular tourist destinations and core elements for the history of the country. Built for different purposes (as mining, railroad, farming or cattle ranching towns), they shared a common fate: hostile desert territory, natural events and human activities caused their decline. Utah ghost towns are fascinating historical places to visit during the day, but they become the perfect set for ghost stories when night falls. Get a glimpse of the old Wild West visiting some of the most famous ghost towns in Utah that, for convenience, we have grouped by county. Located along the Virgin River, close to the Zion National Park, Grafton is an example of well-preserved ghost town in Utah. 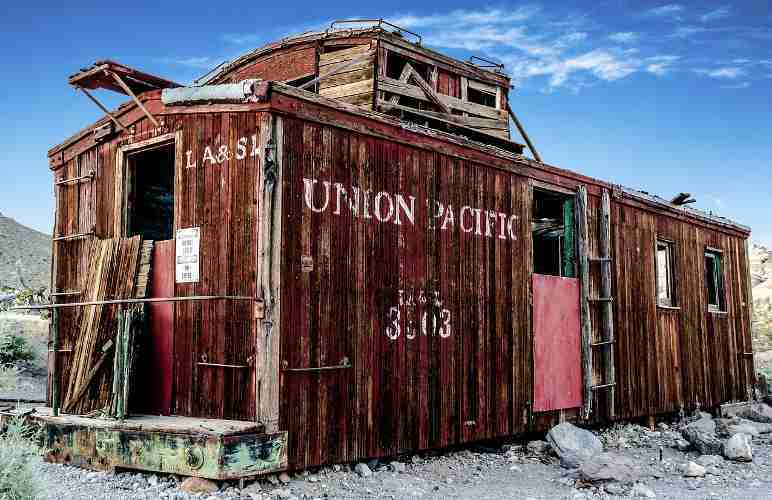 There are many building remains and it is one of the most famous Utah ghost towns. Originally, there was a farming and cotton growing community. Because of frequent flooding and Indian attacks, people definitely abandoned the town by the early 1900s and moved to Rockville, still inhabited. Perfect context for western movies, Grafton was the set for Butch Cassidy and the Sundance Kid. There are many stories of unusual phenomena and the presence of spirits, ghost Indians and cowboys in the Zion area. You can stay here at dusk and see, if you dare. It was a flourishing silver mining town established around 1870. Hotels, saloons, houses, restaurants and a bank were soon built. Today it is still inhabited and some original houses have become private homes. Yet, it is possible to see many old buildings. A good starting point to explore the area of Grafton and Silver Reef could be the city of St. George, the largest in Washington County: in St. George you will easily find a place to stay. Starting as a railroad town, Cisco became famous in the 20’s for oil and gas. In the 50’s it was an important filling station for this area. When I-70 was built, Cisco was bypassed and residents left, leaving only the remains of a dozen buildings. The desert surroundings and the wind whistling through the ruins create a fascinating and at the same time creepy atmosphere. The perfect background for many famous movies (Thelma and Louise, Vanishing Point and Don’t Come Knocking) and the song Cisco Clifton’s Filling Station, by Johnny Cash. In the early 1890s Sego was a coal mining camp that soon became a bustling miners town. Then, water became scarce, life conditions hard and settlers eventually moved. Much of the town is still visible. On the way to Sego there are the famous historic petroglyphs (ancient rock art). It was founded in the 1880s as a railroad town. Today a few people are still living there. The abandoned buildings live together with the inhabited homes, creating a fascinating and mysterious atmosphere. If you are looking for an accomodation, Moab, the largest city in Grand County, can offer a good number of hotels to choose from. Alternatively, you can look for a hotel in the smallest town of Green River. Located in the San Francisco mountains, it was a rich and lively mining town infected by the Silver Fever. Here miners used to enjoy saloons, gambling halls and brothels; shootings and violence were common. In 1885 the mine caved in and Frisco was then abandoned. There are many interesting ruins in the area, mainly off limits. The beehive kilns and the cemetery can be visited. 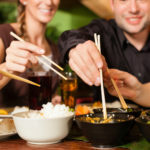 Beaver is the main city of Beaver County and is only 45 miles from Frisco: so, if you are planning to spend the night in the area, you can have a look at our hotels in Beaver. Founded in 1870, it was originally a thriving gold and silver mining town. Today it is actually a semi-ghost town: its large part is abandoned, but a small area is still inhabited. The ghost part is very fascinating, with perfectly preserved buildings along the street. The fact that people still live there makes the town even more intriguing. It was the financial center of the Tintic Mining District, a mining area around the Tintic Mountains (central Utah) that included the smelter of Silver City. The city of Nephi, the largest in Juab County, can be a perfect option for visiting both Eureka and Silver City. From the 1890s Thistle was a lively railroad town in a farming and cattle ranching area. In 1983 a huge landslide blocked the river: the town was covered by water and mud, and completely destroyed. Today you can see some houses still stuck in the water and in the ooze. Thistle is only some 20 miles from Provo, where you easily find a hotel where to sleep. The story of this small town started in 1914 as a coal mining camp. Some houses, a school and the post office were then built around the mine. After a series of avalanches, the work of the mine eventually stopped and inhabitants left the town. This is the perfect place for ghost hunters. It is said that the spirit of the White Lady of Latuda prowls among the ruins of the mine looking for her husband killed in the mine or for her kidnapped child (there are different versions of this legend). It was originally a Mormon town founded in 1870 by the Pahreah River, made of wood and sandstone. Because of frequent floods, it was then abandoned. But Pahreah is also a nearby movie set, built in 1961 and used for many films, destroyed in a fire in 2006. The farming town of Widtsoe was built by the Mormons at the end of 1800. Its name is after the person who elaborated an innovative dry farming technique. Despite this, hot climate, drought and landslides made life conditions hard and people started to leave. By 1938 the town was abandoned. There are interesting building remains: some private houses, sheds and the schoolhouse, just to mention the most famous. It is located in Black Canyon, near Bryce Canyon National Park. It was settled in 1910. The Holt family from Widtsoe called it after the name of the Egyptian God of the afterlife and built a creamery and some houses. But life conditions were rough and people soon left the town. The creamery, then turned into a granary, is the most famous remain. Made of stone and wood it’s perfectly conserved (but it’s private property). The Holt family home is also still visible. If you are bravely fond of haunted places, there are rumors of creepy phenomena and frightening presences around Osiris and the creamery. Panguitch is the administrative center of Garfield County and can be an excellent place where to find an accomodation. Located in the far western at Nevada borders, it was a railroad and mining town very rich in gold, copper, silver and arsenic. Very flourishing at the end of the 19th century, it gradually went into decline when its mines started to run out. Gold Hill is a well-preserved and fascinating semi-ghost town with some residents still living there. It was a copper mining company town built in 1866 in the Bingham Canyon mining area and flourished during the 20th century. In the 1970s people started to move to nearby Copperton, since the around mines were closing and the area was used as a dump for Bingham Canyon Mine. A few buildings are still there to look out for the desolate land. Utah ghost towns are stopped at the time of saloons, mines, farming, cattle ranching, assaults on coaches and Indian attacks. Walking trough the abandoned structures in the hot and silent desert, you will be brought back to the past. 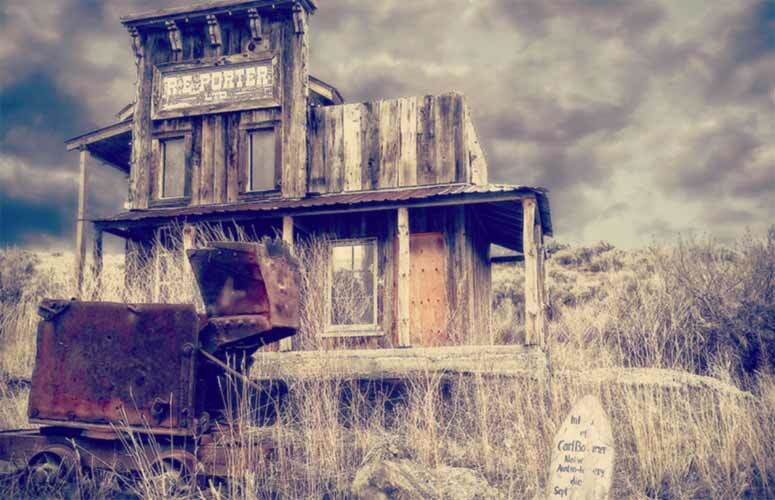 If you are a ghost town hunter, you have a complete list of Utah ghost towns here. You’ll be fascinated and a bit scared at the same time.